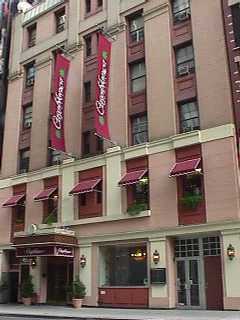 "The Casablanca Hotel is located in the heart of the Broadway Theatre District at Times Square near The Jacob Javits Convention Center, and offers a complimentary breakfast and capuccino/expresso, gourmet coffee, cookies, pastries, beer, wine and cheese each weekday evening." Related photo tours for the Casablanca New York Hotel. Most recent first. Links open in a new window.